How To Cut Fiber Cement Siding? 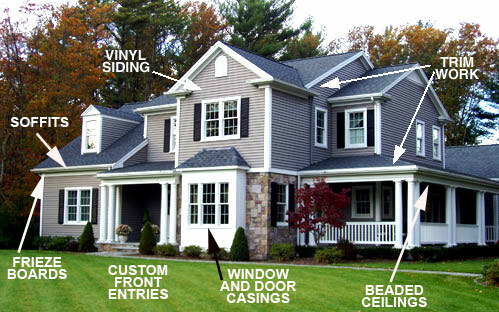 When you need to replace or repair your LP siding, you can calll the pros or do the job yourself. If you want to work on your home siding by yourself, you need to have a proper system, and making proper cuts is the most important thing you need to do. Fiber cement siding has great benefits and brings many advantages over other options. But, when you have to install these yourself, cutting is often an issue. The planks can crumble, creating a lot of dust that can hinder your cutting. This is why experienced contractors are doing this outside. Now, lets see what you need to make your job easier. You will need to get a special blade if you want to work with this tool. If you do not get a special cutting blade, you will be overwhelmed by dust and won't be able to work. These will help you eliminate dust. 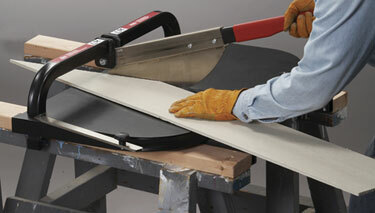 When cutting hardie planks, you want something that can eliminate the amount of dust and this is what shears does best. If you are not working outdoors, you will NEED to use this or you won't be able to stay inside the closed area. Shears are a great solution for cutting fiber cement siding, although if you are not careful enough, crumbling can occur. Razor blade or utility knife are enough when you are cutting siding lines. Just make a straight cut and snap the plank. It's a good practice when you want to make straight lines and need no angles. When you get to the windows, doors and other places that are under an angle, you will need angle grinders and jigsaws. If you don't use these, your planks will crumble and break. For good angles, you need to go slow and make sure you change your blades. With proper tools, some experience and taking your time to measure everything properly, you can install your own siding and create a wonderful looking home. Click here to find out more about hardie, there are some useful tips and tricks I won't be writing about here. This fiber cement siding can endure extreme temperature and weather conditions, is very versatile and can mimim other materials. And the range of colors available is huge, which is what many people love. Believe it or not, 85% of sales are based on the color choice. And considering you can paint hardie planks yourself, you really have a lot to gain with this house siding. Painting Hardie Planks - How? have 90 days to put a primer on the boards. If you don't follow the rules, you will lose your warranty. Oil paint is best used for wood surfaces, so avoid it and save yourself from headache. Before you actually start to paint with acrylic paint, check your caulking and make sure it covers everything properly. Every single thing has to be in perfect order so you can paint the surface properly and not allow any water to seep through. Of course, you should clean the surface before applying any paint, debris and dirt are not welcome at all. Now all you need to do is to choose a finish - Flat and SAtin are the most popular, but you should choose the one that suits your taste better. That would be all about painting your home siding. If you have any questions about this subject, use the comment section. I love blogging and messing around my home, fixing stuff by myself and learning about remodeling and decorating. I don't have any work experience in these areas, but I'm an old school guy who believes anything can be done if you are motivated and don't afraid to ask questions. I figured out I can learn more about home siding by connecting with people through this blog. We'll see how will that go. But anyways, I'll be writing about different siding options and anything related to that. Of course, I'll be writing about the things that interest me the most. I guess you can expect a bit of everything, but not everything.